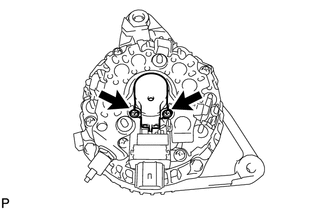 (a) Using a screwdriver, puncture the center of the generator pulley cap and pry it off. 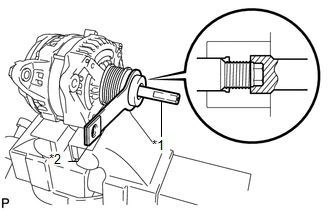 (a) Mount the generator in a vise. 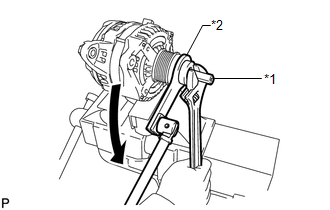 (b) Install SST (A) and (B) to the pulley as shown in the illustration. 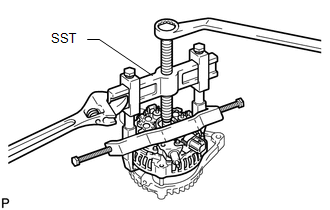 (c) Use a wrench to hold SST (A), and turn SST (B) counterclockwise to loosen the generator pulley. 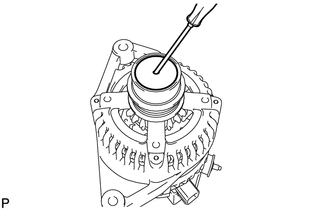 (d) Remove the generator pulley. (a) Place the generator on the generator pulley. 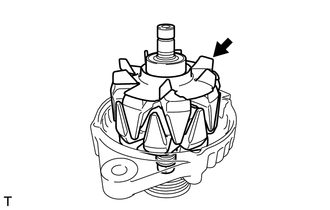 (b) Remove the 3 nuts and generator rear end cover. 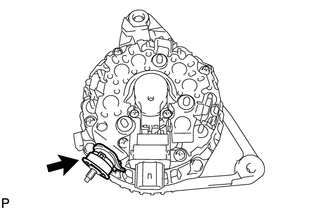 (c) Remove the terminal insulator. (a) Remove the 2 screws and generator brush holder. 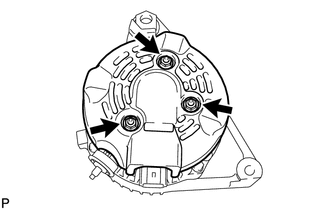 (b) Using SST, remove the generator coil. 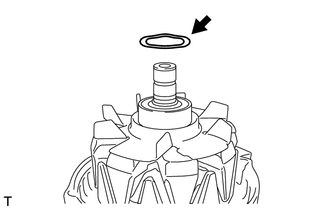 (a) Remove the generator washer. 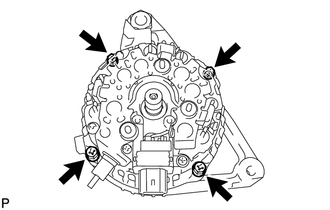 (b) Remove the generator rotor assembly.